Star Wars Heritage was the first set from Topps to include images from all six films. Of course, with Revenge of the Sith not released until the following year, there were only a few cards which revealed very few details. In addition to the 120-card base sest and 30 stickers, there were two sets of six etched-foil cards in the same style as Star Wars Galaxy. This card comes from the first wave of cards. 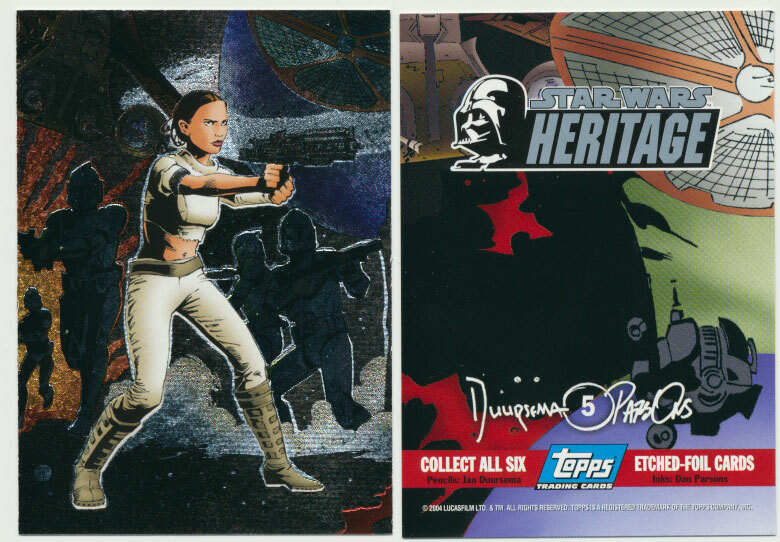 I purchased two boxes of Star Wars Heritage from Fadads Collectibles in October 2004.